This blog has been created to keep people up to date on our amazing adoption process from Haiti. As Rebecca is preparing to write a new, long overdue blog-post, we realized that we failed to post our 2016 and 2017 family Christmas letters. Here is 2017 as quick little "preview" of our life since our last post, until Rebecca can get a new post fully written. 2017. Hmmm, 2017? Everybody is a year older. End of Christmas letter. Haley (13) is rocking 8th grade and looking forward to joining Aftyn in high school next year. She is excited to start driving this summer (Yikes!). Instead of playing sports, Haley loves spending time in the kitchen with Rebecca or hanging out with friends. We’re lucky if we get to see little miss social butterfly on weekends. (Only a small exaggeration) She, too, babysits and really enjoys spending time with kids. This summer Haley attended two church camps where she was able to practice her social skills. Needless to say, they were both highlights of her year. She and Rebecca are also currently working on helping redecorate our church’s youth room, which is a fun project for them to do together since Haley loves redecorating and all things HGTV. Aiden (11) played Michael in Eugene Field Elementary’s musical, Peter Pan, last spring. It was so good and so fun to watch him have a lead role. When the girls were in musicals at E.F. they never wanted a lead role (which was fine), but theater is how Rebecca and I met (25 years ago), so it was fun to see his interest in theater. This fall Aiden started middle school and is at Whittier with Haley. It’s been an interesting transition getting used to being bussed, the larger school, having a locker, and going from classroom to classroom. Aiden’s happy place is in front of the computer, or a smaller piece of technology staring incessantly at other people playing games. I know other parents would agree with me; why not play the games yourself instead of watching other playing???? Or better yet, GO OUTSIDE. When I am at home and turn the WiFi off, he does enjoy building creations with Legos, riding his bike or scooter and doing boy stuff in the neighborhood with the other neighbor kids whose parents turned off their WiFi too. This summer he went to his first church camp and had a great time. During the fall he played FCA Flag Football and really enjoyed that too. Elijah (6) is in Kindergarten and loves learning. We have the twins open-enrolled at Eugene Field Elementary where “the bigs” went, as well as where my brother and I went. Eli fills our house with sassy spice and also considerate compliments. From minute to minute you never know what’s going to come out of his mouth, sweetness or sass. Judah (6) is... Judah. More often than not he is so sweet and loves cuddling. On the other hand, when he’s not being sweet, look out. This boy can tantrum. All-day, every day, kindergarten takes its toll on 6-year olds who are used to taking afternoon naps. Lucky for his teacher, Miss Pederson (who was also my kindergarten teacher, Aftyn, Haley and Aiden’s kindergarten teacher too), he saves this behavior for us at home. Both of the boys love playing outside with the neighbor kids and also going across the street to ask for popsicles. Craig (Forty-something) went Mt Biking in a new state this summer, Wisconsin. It was amazing, and without injury! I look forward to heading back over there next summer. I’m in my 5th year of trying (and failing) to grow wildflowers in our backyard. Someday they’re going to be amazing! Once again this past summer, Rebecca and I led a team from our church to Mission-Haiti, and more specifically up on a mountain in a village called Toussaint, where we continue to fall more and more in love with the Haitians. Coming up in February of ’18 we get to witness one of the blessings stemming from God’s work through us on our August trip. In August we were honored to lead a two night couple’s retreat where we talked about God’s design for marriage. Now, coming up the first week of February we get to help organize and witness a wedding for 8 of the couples that were at our retreat and now desire to get married. God is so good! Rebecca (Forty-something +3 months) continues to work just shy of full-time, while also running kids every-which-way and running the house beautifully. Not saying she doesn’t get stressed out at times, but it is amazing how great of a job she does at all of it! Honestly, the other six of us in the house don’t even know half of how blessed we are. When Rebecca does make down time for herself she enjoys vegetable and flower gardening, reading and scrapbooking our family’s memories. (Although she’s considering going all-digital scrapbooking... (gasp!)) Sadly, last February we lost Rebecca’s Grandpa, but had a great time visiting family and remembering a great man! 2017 Events: Sledding, ice skating, family game nights, visits to see family in MN, Valleyfair, annual family hotel weekend staycation, taking in SDSU basketball and football games, Pinterest wood pallet projects, Rebecca and the Bigs took in Matilda, the Broadway Musical, we kept our eyes on multiple pairs of ducks (including Wood Ducks!) on our pond, we continue to enjoy hosting Life Groups, all three of the Bigs played in their last Piano recital in May, but then quit taking piano lessons after that L, we went for lots of walks and nature hikes, went kayaking a few times, hosted a neighborhood picnic, went to see U2 in the cities, saw Garth Brooks in Sioux Falls (I know, country music, crazy, right? ), we took an Omaha Zoo family trip, just to name a few. We would like to wish all of our friends and family a happy 2018! May God richly bless each of you, and may the gift of Christ be ever in your thoughts and hearts as you navigate the journey ahead! As Rebecca is preparing to write a new, long overdue blog-post, we realized that we failed to post our 2016 and 2017 family Christmas letters. Here is 2016 as quick little "preview" of our life since our last post, until Rebecca can get a new post fully written. 2016 has proven to be another year filled with adventure and new experiences! 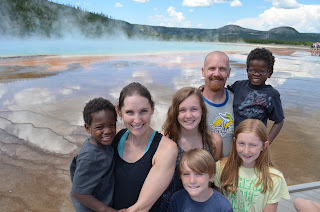 Our family took advantage of the “Every Kid In A Park,” free 4th graders National Parks Pass. We visited the Black Hills, Tetons and Yellowstone during a week long road trip. God’s beauty was incredibly breathtaking, and it was so much fun to spend time exploring creation as a family. Some of our favorite places were Schwabacher’s Landing, Grand Prismatic Spring, Devil’s Tower and Yellowstone’s Grand Canyon. A couple of hikes were Lake Creek Trail to Phelps Lake, Woodland Trail Loop, Lunch Hill Trail and the hike to Inspiration Point at the Grand Canyon of Yellowstone! The trip was incredible! In August, we loaded up the car again and headed to Northern Minnesota to spend time with my family. While there, we were able to honor my dad for his military service in Vietnam by having the Wounded Warriors motorcycle club visit him. They presented him with a quilt handmade by the American Gold Star Mothers. Many tears were shed, and it was such a blessing to watch my dad, who has been through so many trials in his life, be honored for his service in such a heartfelt way. Also during our week at the lake, we played in the water almost nonstop; skiing, tubing and knee boarding (Until Aiden ended the fun with 6 stitches in his lip. He was just one of three “boys” in the family with stitches this year!) From the lake we headed up to Duluth with my brother, Nate, Jen and their girls to watch the Tall Ships and the World’s Largest Rubber Duck come into the harbor! We spent Labor Day Weekend the same way we have since 1998; soaking up the sun and music at Lifelight Music Festival. As always, it was fantastic. Our oldest, Aftyn (14), continues loving piano, reading and playing with our golden retriever, Griffin. She spent much of the summer at band camp...but had the most fun at Klein Ranch Camp with three of her closest friends. The rest of her summer was spent behind the plate catching for the Gators…back-to-back Softball League Champions!!! This fall she began a new chapter in her life; high school! She gives it a 10/10 and has made many new friends. She played on the Washington High School softball team this fall. In October, Aftyn was confirmed and gave her testimony at church. We are so proud of her! She is now beginning to study to take her driver’s test and will begin her first AP class next semester. She is also preparing for a trip to California with the WHS Band in February. She is driven, outgoing and full of fun! Haley (12) also filled much of her summer with softball. She played on a team with her cousin, Mickila, again this year. She went with many of her friends to Sno-Daze Winter Camp, and to Pickerel Lake Bible Camp this year and has grown so close to several of her church classmates. She is looking forward to a trip to our church’s Association Free Lutheran Bible School (AFLBS) in Plymouth, MN in February to go spend time with one of her summer camp counselors and several of her friends. She too continues to love to read and play the piano. Haley has made many new friends this year and is loving middle school. She plays percussion in the school band, Whittier Winds and Jazz Band. She is the lighthearted, witty and compassionate kid in the house. Elijah (5) and Judah (5) continue to go to Jenna’s daycare and are now the biggest kiddos there! This fall they started preschool at SF Christian and have learned so much already. It is so fun watching their vocabulary and understanding grow every day! In May, Judah began the adventure of having glasses. The first pair lasted exactly six months prior to being bent, twisted, flung, stretched, lost, stepped on and then chewed by a dog. We replaced them, and two days later he added his own chew marks to them. Sigh. Once again…parenting five has its moments. The boys continue to love Sunday School, playing with siblings and neighbors, and being outside! The difference in their personalities is growing as they become more and more independent of each other. Elijah is competitive and precise. Judah has a creative imagination and often plays by himself; narrating the adventure loudly with lots of dramatic sound effects (whether at home, in bed, or in church). They continue to grow quickly. We can’t imagine life without them! Craig is starting his 14th year at Midco and this year had the privilege of traveling to San Francisco, Washington, DC, Las Vegas and New York City on business. (I happily joined him in LV and NYC!! Elton John in Vegas was incredible, but it was especially fun to experience NYC! We took in two Broadway Shows and saw many of the sites. Being in Times Square for election night 2016 was an “experience,” but Central Park is still my favorite!) Craig had his 9th Annual Mountain Biking Trip to Maah Daah Hey in the North Dakota Badlands. In July, Craig and I were blessed to lead a team from our church to the mountain village of Toussaint, Haiti. We held VBS for 150 children, spent time with the children at the orphanage, and I led a women’s retreat. We had the privilege of leading several people to Christ through our home visits! It was incredibly powerful and was like nothing we have ever experienced on previous trips. On October 4th, this same area of Haiti was devastated by Hurricane Matthew. Craig traveled down 10 days later with three others to assess the damage, gather and distribute supplies, and to take and prepare photos and videos for fundraising. It was a powerful trip he will never forget, much like his first trip to Haiti in 2010 after the earthquake. I, Rebecca, am still happily employed at Goodcare Rehab. I am the Occupational Therapist at Dow Rummel Village in Sioux Falls and have gotten to know many of the residents over the last year and a half. I spent many hours in my flower and vegetable gardens, and had an incredible year feeding the hummingbirds around our yard. (I think I am becoming more and more like my mom every year!) I am enjoying a new role working with the older youth at church on Wednesdays. I continue to treasure my scrap-booking time with girlfriends and enjoy reflecting over the adventures of our busy but adventurous family. We would like to wish all of our friends and family a happy 2017! May God richly bless each of you, and may the gift of Christ be ever in your thoughts and hearts as you navigate the journey ahead! 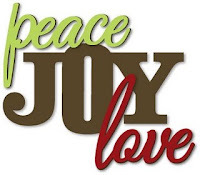 It has been too long once again...but the rhythm of life seems to sweep me away in it's current and I find it more and more difficult to find time to reflect by blogging on the many blessings that we have been given...and indeed...they are many. Today I was just sitting down to the computer to put a few final touches on the life books that I have created for our boys...and I decided that the information that I was including in their books could be so helpful to the many of people still waiting and contemplating adoption. I finished up the boys' adoption timeline. It is such a blessing to just be able to write those words!!! It is finally finished!!! The process of getting them here was such a struggle and brought so much strife and hidden blessing. Here is their overall adoption timeline! 7.22.14–-Elijah and Judah become US Citizens as soon as they got off the plane! It is such a blessing to know that the boys are home and all of the paperwork is final. The crazy thing is though...that this journey has just begun! We literally have a whole lifetime to pour ourselves into these precious boys and it is such a blessing that the Lord has given us this time with them and trusts us to share Him with them!!! 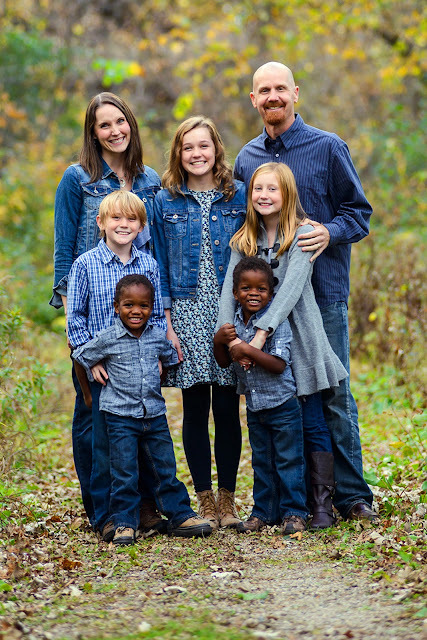 Please continue to pray with us as we continue on the journey of life with these boys. We continue to work through many aspects of life together and prayer is such a gift and help in times of struggle. I have also decided to include a copy of our annual Christmas Letter as an update and glimpse into our life together. Over the last year, we have deepened our bonds and have gone on several adventures together. This beautiful family that only God could have mended together is such a creative and precious blessing! 2015 has been filled with blessings and thankfully we have been able to find many moments to breathe and focus on what an incredible thing it is to be a family of seven! This year we were blessed to be able to travel a bunch and made many new memories. In March, the twins had an extended stay with Craig’s brother and sister-in-law, Jaron and Heather, while we took the “bigs” to Phoenix to visit our friends, the Petersons and also Craig’s extended DeWit family. We took in Sedona and the Grand Canyon, and also hiked to the top of Camelback Mountain. It was so much fun! Then in July, we loaded the entire family into the van and headed to Northern Minnesota and the North Shore for an incredible adventure of visiting family, hiking, kayaking on Lake Superior and exploring God’s beautiful creation! On the way home we spent a few days in the Twin Cities enjoying time with friends and visiting Valleyfair. This summer we enjoyed multiple camping trips with family and friends. Over Labor Day, we soaked up the sun and music at Lifelight Music Festival. As always, it was fantastic. This year we also had the blessing of taking in multiple other great concerts, as well as a weekend with friends and the zoo in Omaha. This fall we got to spend a fun-filled weekend at the Ramada Inn in Sioux Falls for our annual DeWit Christmas celebration. The “bigs” also had the opportunity to travel to Florida to visit Grandpa and Grandma Skalsky in November. They had an awesome time! Our oldest, Aftyn (13), officially became a teenager this summer and it has been incredible watching her mature. She has a great passion for piano and is now playing keyboard and vibes with the Jazz Band at school. She continues to love percussion as well and is in Whittier Winds, a special band ensemble, again this year. Last summer, her Gators softball team won the championship title! She was a speaker at the Whittier Honor’s Night and did a beautiful job. Her favorite past time is spending time with her great group of friends! Both Haley (11) and Aiden took part in Shrek the musical at Eugene Field Elementary last spring. They had a wonderful time being a part of the production. Haley too spent a big portion of her summer playing softball. She continues to love to read and play the piano. Last fall, Haley headed off to middle school and has made many new friends and in October was honored as Student of the Month. Along with big sister, she too plays percussion in Whittier Winds. She has a witty sense of humor, and it is precious in combination with her sweet spirit. some form of technology. He is quite a daredevil when on a bike or scooter and loves to spend time outside (when asked to get off of technology). He played baseball for the second year with several of his friends and just finished his first Lego League season where his team was awarded the “Up and Coming Stars” award. This fall, he composed, performed and recorded his own piano piece and submitted it for the Reflections PTA competition, and has now moved on to the City level of the competition. Elijah (4) and Judah (4) have both grown leaps and bounds! They continue to go to Jenna’s daycare where they have many friends and have been working on their vocab, language, counting and letters skills. They are doing well in their first year of Sunday School and Wednesday night church classes. We just got them registered for next fall’s preschool! They love playing outside, biking, hiking, kayaking and generally being silly. Elijah is intense and competitive and Judah is quiet and happy-go-lucky…most of the time…but both of them are adorable and sweet. We simply can’t imagine life without them! Craig is now in his 13th year at Midcontinent and this year had the privilege of traveling to Las Vegas and New York City on business. (I happily joined him for the Vegas trip!!) He took the three oldest kiddos snow skiing, found time to fly kites with all of the kids and even built the kids a treehouse with our neighbor. Craig is an incredible father! In June, Craig led a team of missionaries from Sioux Falls (including his brother, Jaron!) to Toussaint, Haiti. They led Vacation Bible School and Youth Group, made home visits and continued building deeper relationships in Haiti. His annual guys’ biking trip was spent at Cuyuna State Recreation Area exploring more of MN and working on their technical biking skills. I, Rebecca, am still happily employed at Goodcare LLC., however, in May I began working at a new location (Dow Rummel Village in Sioux Falls) so I no longer have to travel each day. I love my new position and have enjoyed meeting many new people. I continue to treasure my scrapbooking time with girlfriends and had a great time gardening this last summer. I also had a fabulous vacation to Florida to visit my dad and Barb. It was a wonderful, and much needed relaxing time. We would like to wish all of our friends and family a blessed 2016! May God richly bless each of you and may the gift of Christ be ever in your thoughts and hearts as you navigate the journey ahead! Unbelievable! The last day that I found a moment to put some of my thoughts down on this blog was December 21, 2015. Multiple times I have thought, “Hmmm…I really should find a spare minute to update my blog…and then I run on to do the next task and it quickly leaves my mind. Seven months later, I am finally finding that spare minute while driving on a family trip to Northern Minnesota with five sleeping children in the back of the vehicle and a goal to stay awake to help my hubby navigate to my childhood summer destination. It is the perfect time to begin to gather my thoughts and provide an update. Incredibly, Wednesday, July 22, was the official one year mark!! The twins have been official members of our family for one whole year! I know that in my last post, the entire family was doing beautifully with bonding. We were finally finding ourselves wading out of the emotional turmoil of initial adjustment and bonding. This overwhelmed mama was kneeling in the sand…beginning to feel some stability and normalcy in this foreign territory. Now, one full year after bringing the twins home, we are all fully standing in the sand. The last year has had its challenges, but the journey has been so beautiful. Breathtaking even. Watching the twins explore the world around them, one new thing at a time, and watching our beautiful big kiddos cheer them on along the way has been beyond words. It is as if we are still navigating through life’s challenges and continuing to teach the twins the way that this very foreign land operates…but we are doing it while holding their little hands and helping each other along. I was reminded to get back onto the computer and update our blog shortly after putting together the adoption update on the twins. Craig and I have to provide written updates on the twins’ progress to the orphanage and our agency in varying intervals. Our most recent one was due at the one year mark, and it was beautiful to look through photos and to reminisce over the last year and all of the firsts and experiences we have been through together. I have edited the letter some to preserve some of the privacy, but hope that it is helpful in updating how the twins are doing. Please enjoy the update and continue to keep our family in your thoughts and prayers. Also enjoy the multitude of photos from our fantastic Northern Minnesota vacation. It couldn't have been more beautiful or more of a blessing to our spirits! When they first arrived home from Haiti, July 23, 2014, we knew that there were some minor surgical procedures that needed to take place. Judah had an umbilical hernia and several adhesions requiring circumcision. Elijah also had adhesions requiring circumcision. They had their surgery on August 22, 2014. Judah then had recurrent sinus infections. He underwent an additional surgery to remove his tonsils and adenoids on December 30, 2014. We have had several doctor’s appointments to get them up to date on their immunizations and to screen for any other issues. Initially we needed to treat for giardia and C-difficile. No additional medical conditions have been found and their immunizations are now current. Our adoption was processed by Children of All Nations agency. 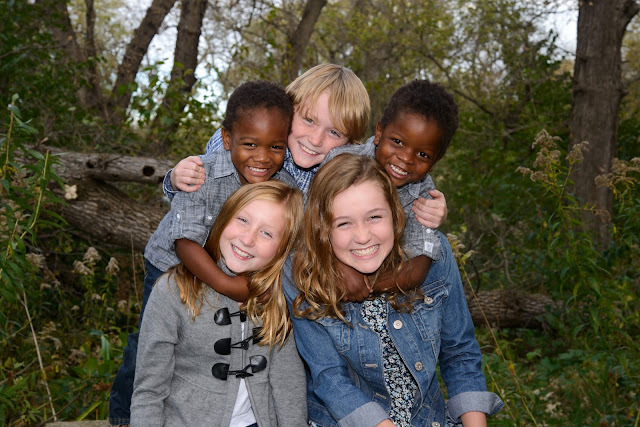 The boys were adopted from an orphanage in Port-au-Prince, Haiti. Craig and I traveled to Haiti to complete our adoption on July 15, 2014 and returned with the boys to Miami, FL on July 22, 2014, the day the adoption was finalized. The boys were Naturalized United States Citizens (IR-3) upon our arrival home. Elijah demonstrates normal development. He has good stamina for physical activity. His fine and gross motor skill development is appropriate for his age. He has had a screen for development through our local school system, and he was found to be within the normal range. He has a structured eating and sleeping pattern. See below for the schedule. He typically sleeps through the night and takes a 1-2 hour nap daily. His current height is 37.5 inches and his weight is 31 pounds which places him at the 25th percentile for his age. He has not required any ongoing medical treatments beyond the surgeries listed above. Elijah is a headstrong and independent boy but is also tender and loving. He desires to please and has a good sense of humor. He is able to attend to a task for a prolonged period of time and has a vivid imagination. He has attached well to the rest of the family and has adjusted well psychologically. He typically responds well to correction and encouragement. He did not know even one word of English when he came home, but now has an extensive vocabulary. He is precise with his language skills and is always trying out new sentences and adding descriptive language to give more detail. He shows good comprehension of the English language as well and appears to understand all of our commands. Judah also demonstrates normal development. He has good stamina for physical activity. His fine and gross motor skill development is appropriate for his age. He has had a screen for development through our local school system, and he was found to be within the normal range. He has a structured eating and sleeping pattern. See below for the schedule. He typically sleeps through the night and takes a 1-2 hour nap daily. His current height is 39.25 inches and his weight is 35 pounds which places him at the 50th percentile for his age.. He has not required any ongoing medical treatments beyond the surgeries listed above. Judah is more of an observer and often follows the lead of Elijah when it comes to creativity with play. He is more gentle and loving. He desires to please, has a good sense of humor and is very ticklish. He has a shorter ability to attend to task and plays more concretely. He has attached well to the rest of the family and has adjusted well psychologically. He is improving in his ability to respond well to correction. He becomes easily frustrated and requires step by step instruction and encouragement. He did not know even one word of English when he came home, but now has an expansive vocabulary. He is less precise with his language skills than Elijah but is showing improvements every day. He shows good comprehension of the English language and appears to understand all of our commands. Both boys are currently in daycare for the hours that Craig and I are working. Their daycare provider is a nurse by trade and is skilled at incorporating educational opportunities and activities that encourage fine motor coordination and early educational skills as well (counting, colors, ABCs, shapes, etc.) They get along well with the other children at daycare and play well with them. On our way home from Haiti, the boys appeared to be comfortable and attached to my husband and me. When the boys first arrived home, they were busy observing the world around them and were quite hesitant with others. We limited our activity for quite some time and also limited the direct contact with the boys from extended family and friends. We made sure that we were the only ones assisting them with toileting, eating and when they were hurt. They attached to my husband most quickly. They also attached quickly with our two daughters. They took a little longer attaching to our oldest son and me. I feel that they are now well attached with our entire family. They seem to understand that we are a family unit and are loving and affectionate with all of us. There is some sibling rivalry at times between Elijah, Judah and our oldest son, Aiden. This rivalry appears to be normal rivalry. Our older children have been so mature letting their needs go unmet in order to meet the needs of Elijah and Judah. They are helpful and thoughtful towards them. 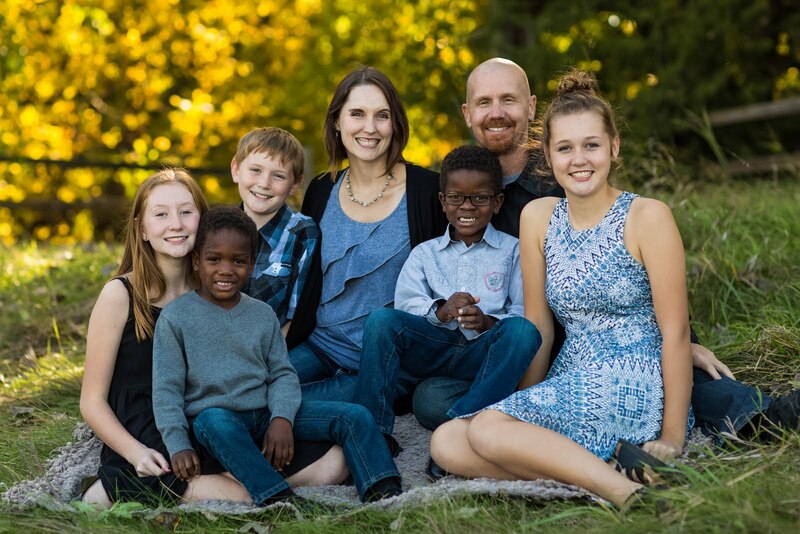 Our extended family, close friends and church family have been supportive throughout this entire adoption process. They continue to pray for our family and encourage us daily. They have welcomed the twins with open arms and love them already. Adding Elijah and Judah to our family has not caused us to have to make significant changes with our work schedule. Craig works a 40 hour work week and I continue to work a 30-35 hour work week. Our daily life at home has changed, however, because we have had to incorporate a nap time and this has affected the number of family outings we have been able to take. We look forward to being able to take all of the kids on more outings in the future but welcome the quieter time at home connecting with them over the past year. We received their Social Security cards and are currently in the process of applying for South Dakota birth certificates and citizenship. 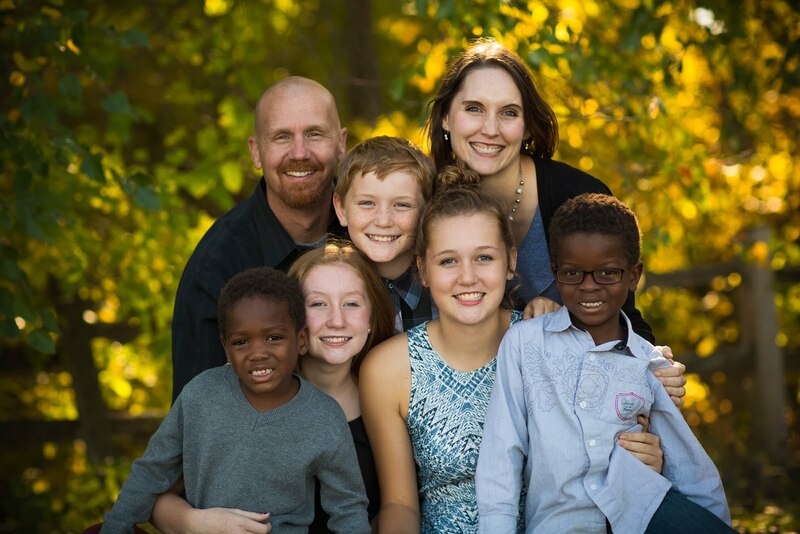 Their re-adoption in the state of South Dakota is also finalized! We will likely also apply for passports in the future. 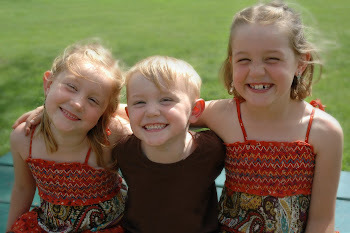 It is a blessing that we have not had any significant major family or life changes since bringing the boys to our home. We all continue to be healthy and our marriage is healthy as well. Also worth noting is our family’s love for the country of Haiti and people of Haiti. We look forward to continuing to travel to Haiti on mission trips (Craig just returned a couple weeks ago from his 5th trip to Haiti.) and teaching Elijah and Judah about the country they were born in. We want them to know and be proud of the great country they come from.